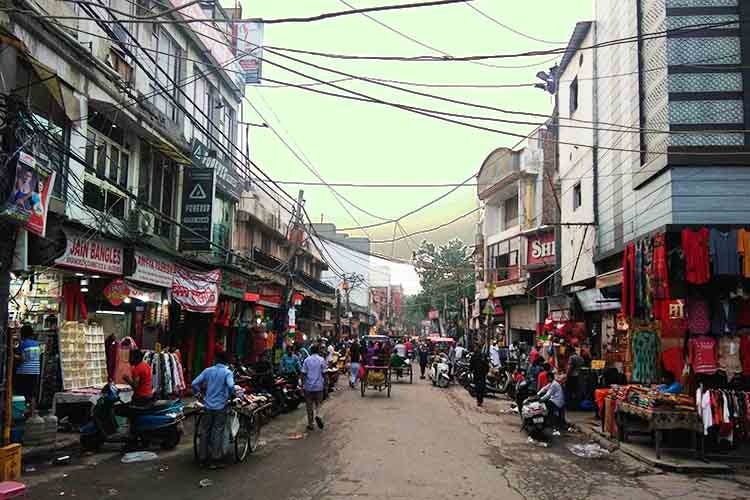 Lal Quarter market is East Delhi’s reply to all the popular, budget-friendly street markets in the other parts of Delhi. It's got Lajpat-style kitschy jewellery, kurtis and dupattas, Sarojini-style style daily wear, saris the likes of Chandni Chowk and plenty of street shops for bags, accessories and footwear. Added bonus: all of it is available at incredibly cheap prices. The market is pretty large, and not the most organised. To reach the place, we'd suggest not taking a car (bye bye, parking woes) and taking the metro. The nearest ones are Welcome (red line) and Preet Vihar (blue line). From there, you'll have to catch a rickshaw/auto. From formal shirts and informal t-shirts to comfy lowers, shorts, pants and jeans, this store has an amazing collection of good-quality menswear and at cheaper rates too (as compared to the sky-rocketing South Delhi prices that is). To give you an idea, the range of trousers begins at INR 720 and denims at INR 900. From trendy cotton kurtis, palazzo sets, dupattas, leggings to gorgeous ethnic footwear, this store had it all. The daily-wear kurtis and the colourful chappals were our favourites. Their clothing range begins at INR 800. This 47-year-old store had all kinds of ready-made lehengas, suits, indo-western gowns and more which will make for a stunning suitable-for-a-wedding look. Their collection was a mix of both bling and subtle designs, so they’re equipped to cater to people with different tastes. Across the road, they have another store which you can check out for ethnic dailywear. It's easy to miss this unassuming place (it's near Rupa Ice Cream Parlour), since it's small with very little seating space. But we say, go ahead and just try their food, especially the Lemon Chicken Latpat and Kali Mirch Chaap Latpat. You'll end up devouring more than you thought you possibly could.